Superb analysis of this year’s race thus far. In 3 words: Close, Change & Epic. 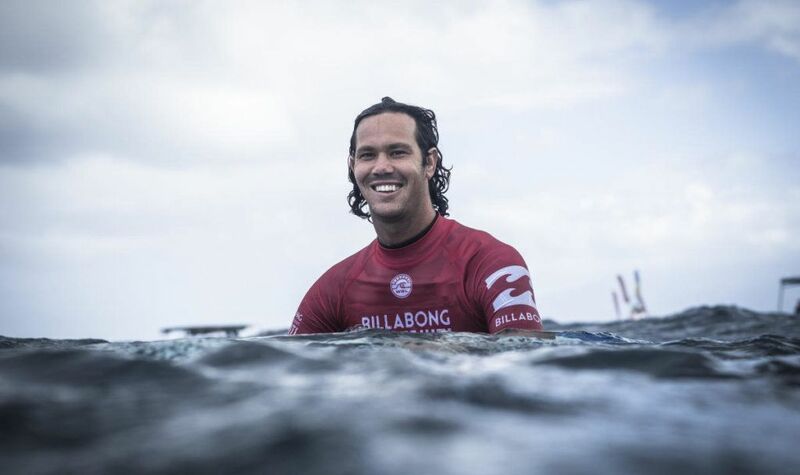 When Julian Wilson defeated Gabriel Medina to win the Billabong Pro Tahiti, he became the seventh surfer to win the seven Championship Tour events that have run so far this year. Since the two-tier CT system was introduced, it’s the first time that no surfer has managed a repeat victory this far into the season. However, with four events remaining, it’s almost inconceivable that this year’s race won’t go down to the wire at Pipeline. Medina and Wilson have secured 14,500 and 16,500 out of a possible 20,000 points respectively over the last two events, and like a two-man cycling team chasing down the peloton, they have joined the leading pack. Wilson moved up to World No. 5 and trails ratings leader Jordy Smith by fewer than 5000 points. The top seven surfers are now wedged between a points differential of just 8,850. The top four are even tighter with the gap between Owen Wright in fourth and Smith a paltry 2500 points. Of the seven only Gabriel Medina hasn’t won an event in 2017. There is only a seven-year age gap between the oldest (De Souza) and the youngest (Medina) and most of these have grown up together surfing heats since they were 13. With the veterans out of the picture, it’s a level playing field for experience — and that can be extended to most of the other parameters of success. Be it talent, fitness, mentality, big-wave ability and the will to win, there is a struck match among all of them. Gabriel Medina is the youngest surfer with the most points to catch up, but that doesn’t make him any less of a threat.WSL / WSL/POULLENOTThe two Brazilians are former World Champions, the three Aussies are best mates, and in Wright, provided one of the best back stories in modern sport. South Africa hasn’t had a World Champion in 40 years and if Jordy Smith doesn’t claim this one, they might have to wait another 40. That just leaves a certain Hawaiian, the current World Champion, who despite not hitting fifth gear since Margaret River, is still only 950 points off the lead. While each of these athletes is a champion in their own right, when it comes to a World Title, it can’t be divided seven ways. And at this point, every surfer on Tour has an equal claim on the 40,000 points available. This could well be one of the closest, and most pivotal, World Title races in recent years. There isn’t a heat or a wave that doesn’t matter from this point forward. We’d advise you not to turn away for a second.